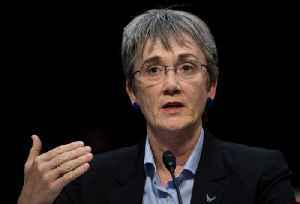 Heather Wilson Announces Her Resignation as US Air Force Secretary In a statement, Wilson says she will officially leave her post in May. She will then head to the University of Texas at El Paso to become the college's new president. 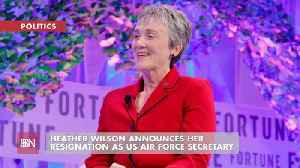 Heather Wilson, via statement President Trump, via Twitter The 58-year-old former congresswoman was confirmed as Air Force Secretary in May 2017. Recently, she worked with President Trump on the establishment of his proposed Space Force. Under her recommendation, the White House has said the Space Force will become apart of the Air Force. 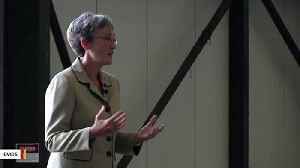 Air Force Secretary Heather Wilson toured Offutt Air Force Base Friday after it flooded last week.